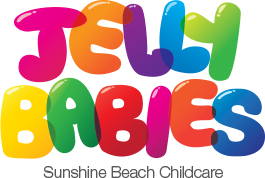 Sunshine Beach Chid Care Centre (Jelly Babies) Outside School Hours Care Philosophy is guided by children’s, families and educator’s input, ideas and belief systems. Our philosophy, like our program, fosters children’s well being, development and learning through recreational experiences. Our outcomes and our centre philosophy combine to guide program decision making for children and educators to reflect on and to promote children’s opportunities for being, belonging and becoming. We meet our aims by following our centre’s guidelines and procedures and by utilising information from “My Time, Our Place Framework for School Aged Children in Australia”. Provide a safe and healthy environment where a program of activities is delivered that promotes play and involvement for all children as well as a strong sense of well being and belonging. Consult with children and families to build a secure, trusting, caring and fun environment which encourages their involvement in the centre and by role modelling fairness and respect for one another and our environment. Understand and respect that each family and individual in our community is unique with their own individual interests, abilities, beliefs, customs and cultures. Learn at their own pace through involvement. Are given opportunities to create, explore, experiment, be active. Interact with others whilst being engaged in various experiences. Ensure children have the right to be cared for in a comfortable, relaxed, safe, secure nurturing environment. Ensue children connect with the community through our centre’s involvement in excursions, incursions and special events. Each school day children are collected by a team member from Sunshine Beach State Primary School and St Thomas More Primary School. Children are collected from the designated place and walked back to Jellybabies via the crossings (Pedestrian crossings and/or traffic lights). If children are to absent on any day parents must advise the centre prior to 2:00pm. Please refer to our OSHC Parent Information for more details.